When you are approaching a spousal support hearing to determine alimony, it’s important to be prepared. It’s easy to get caught up in the moment during proceedings. Emotions, missing information, and lack of knowledge regarding proceedings can all negatively impact your spousal support hearing. A spousal support attorney in Vancouver, WA does more than just attend your hearing, they make sure you’re prepared, your information is correct, and that emotions don’t affect proceedings. Robert Vukanovich Attorney at Law has been a practicing spousal support attorney in Vancouver, WA for more than 25 years. He understands that these proceedings can be delicate, and both parties must adhere to the law. Regardless of which side of the split you are on, Robert Vukanovich provides professional, thorough spousal support attorney services. Every state has unique laws, and a local spousal support attorney is uniquely qualified to help you receive a beneficial ruling. Alimony rulings can have an immediate effect on your quality of life. Though there are some options available after the fact, the best strategy is to work towards a favorable alimony ruling in the first place. Your spousal support attorney in Vancouver, WA will work tirelessly to get you a favorable ruling. Accuracy and precision are tantamount to a favorable ruling, and Robert Vukanovich knows exactly what information is required by the courts. Further considerations are taken into account during longer marriages in Vancouver, especially when one spouse is disadvantaged when supporting themselves. There is a large discretion in the amount of the determined payments as well as the structuring. This can mean the difference between temporary payments and a more permanent payment structure. As your spousal support attorney in Vancouver, WA, Robert Vukanovich will fight for a favorable ruling that allows you to maintain your quality of life. With Robert Vukanovich working on your behalf, you don’t have to worry about whether or not you’ll be protected in court. A spousal support hearing can have a major impact on your life, and failing to hire a spousal support lawyer can have long lasting effects. With a spousal support attorney in Vancouver, WA, your rights as a spouse and parent are protected. We’ll work with the law to get you a fair and amicable settlement that isn’t hindered by mistakes or emotional decision making. What may feel like the right decision in the moment may not provide long-term comfort, and we’ll provide the objectivity many clients need during these proceedings. A spousal support attorney in Vancouver, WA can also help proceedings move quickly by filing and processing paperwork correctly and efficiently. 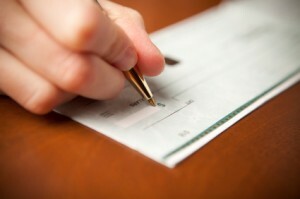 You shouldn’t have to draw out spousal support and alimony hearings a moment longer than needed. 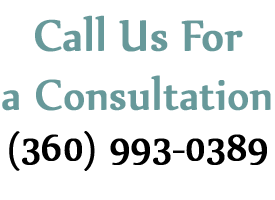 Call (360) 993-0389 or contact Robert Vukanovich Attorney at Law today.